Truth be told, we live in Wonderland year-round. Today, however, we celebrate, because on a day like today stumbling down the rabbit hole is completely socially acceptable. And another trick we’ve discovered this year: Halloween is the perfect excuse to purchase that treat you’ve been thinking about all season because you just NEED it for your costume. So, happy tricks & treats, friends. And come play with us down the rabbit hole…. …for this very important date. This year Halloween goes designer, and two elle goes Wonderland. Laura Sweeney goes on around 8, Newmatic goes on after, and you get to shop throughout….assisted, of course, by our take on Alice & friends. 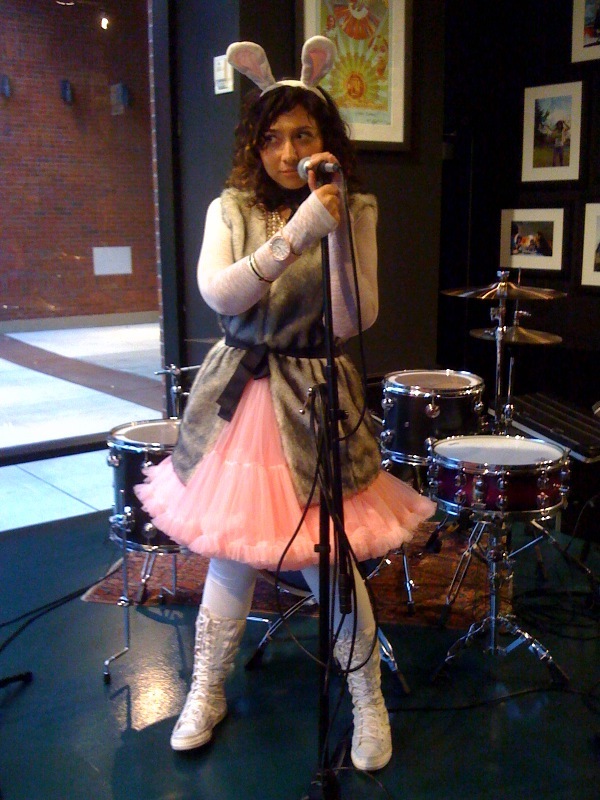 Join us tonight for everything we love: great music, cupcakes, and an excuse to wear/buy with whimsy and fantasy in mind! 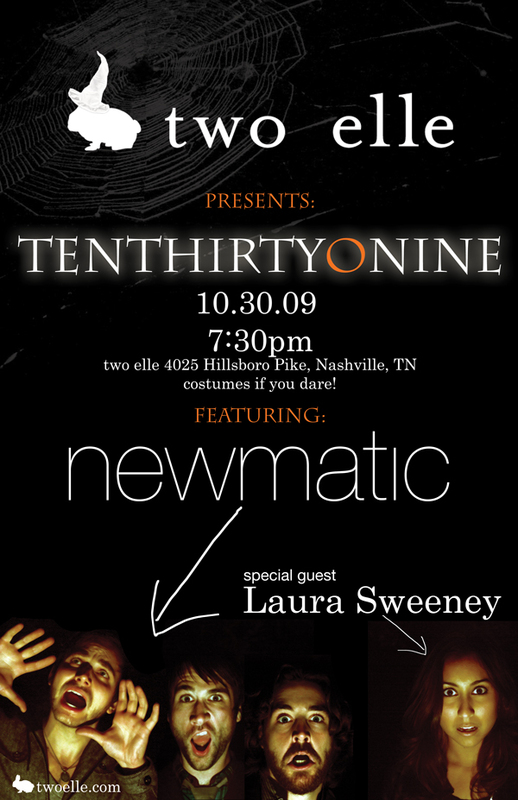 This Friday night, on the eve of Halloween, Newmatic and Laura Sweeney will take to our stage around 7:30 PM. 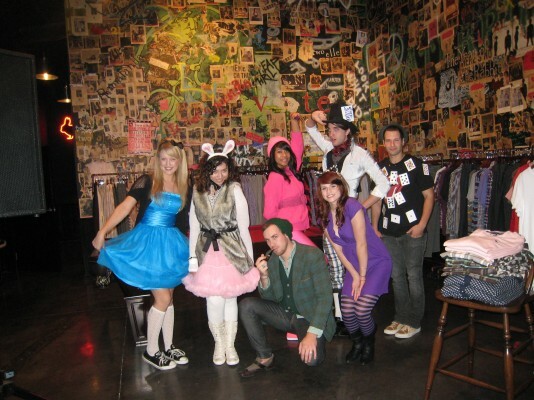 And a little bunny tells me that there will be costumes…and maybe even a couple glimpses through the looking glass. Not only do we have beautiful friends, but we have beautiful neighbors! The Beautiful People issue of Nashville Lifestyles featured H. Audrey’s Holly Williams on the cover and included Snap’s Leah Bentley. As you can see, Leah kept it in the neighborhood by choosing our Modern Amusement Lou Lou Dress and looking as beautiful in it as her title implies.